A detail from 関ヶ原合戦屏風, late 19th century. The Sengoku period (戦国時代) is generally speaking the most interesting, intense and famous period of Japanese history. 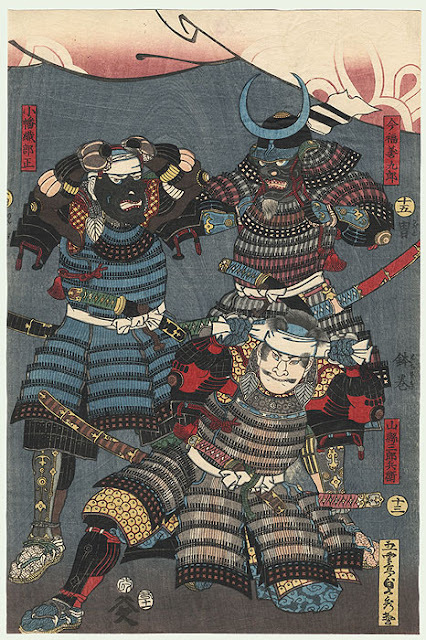 We are all familiar with the classic picture of the Ashigaru arquebusiers formation, or with the fierce Samurai horseman wielding a spear and names like Oda Nobunaga or Takeda Shingen are among the most celebrated Samurai ever existed. So I decided to dedicate a series of article talking about the military history behind the most famous warlords and battles of this period. This one will be dedicated to the Army and the classic "Battle Formations" of the Sengoku Jidai. The Sengoku period is an awfully long period which roughly goes from the 1467 to the 1600 depending on the sources and the only red line connecting more than 100 years of history is that the various provinces of Japan were constantly at war with each others. It is quite obvious that the armies in the early 1500s didn't look like the armies that fought at Sekigahara in the 1600. Around the mid 16th century, powerful clans like the Takeda, Oda, Uesugi, Shimazu and other famous names grown and gain enough power to drastically increase the size of their armies. The widespread and the development of new technologies like Tosei Gusoku armor, arquebus matchlocks and pikes formations allowed those warlords to use new, modern and mature tactics on the battlefields. The rise of the Ashigaru, deployed as professional light infantry companies, which is related to the previous points, drastically changed the way battles were fought. To better understand the organization of the armies of this period, we have to talk briefly about the Japanese socio-political context. Each domain, called Kokka (国家), was ruled by a particular clan and the head of the clan, the Daimyou (大名) was practically the ruler of the domain. To be considered a Damyou, the land owned had to value at least 10'000 Koku (石); 1 koku is the equivalent of 150 kg of rice, the amount that was said to be able to feed one person per one year. His land was split among different high ranking Samurai, his vassals, which were reunited under one military organization called Kashindan (家臣団) or Gundan (軍団). The Kashindan was a net of relationship based on family ties, marriage, adoption, alliance and submitted former-enemies. Each warlords had a different type of Kashindan, which makes thing really hard to generalize. Everything regarding the army depended on the Kashindan: from it size, weaponry, activity and deployment. A simplified example of the Kishindan of Hideyoshi in the 1581. 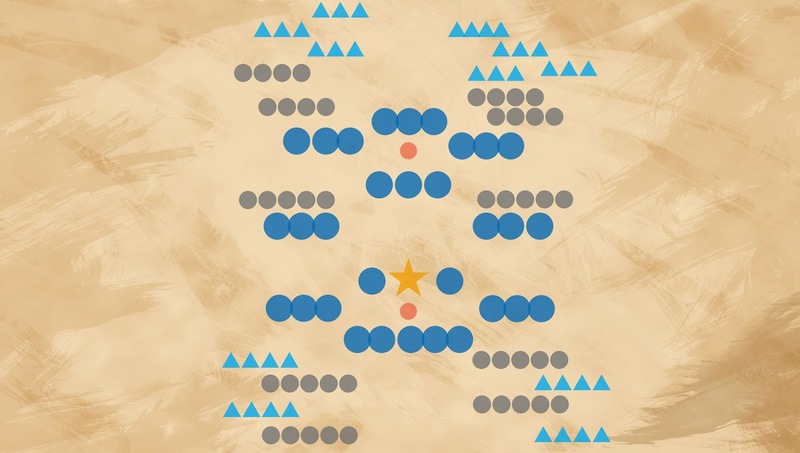 Each branch had several others connection that allow him to form an army. Through the relationships in the Kashindan, the vassals were obliged to supply troops to the Daimyou for its military campaign. Each vassals was expected to supply precise amount and types of troops based on its own income in koku. Wealthier and closest ( in term of relationship) vassals were expected to supply more troops. Generally speaking, the troops in the kinju were low ranking samurai (jizamurai - 地侍) that could operate as heavy infantry, and were equipped with different types of weapons. Although in this period the difference between Ashigaru and Jizamurai was not very remarkable. In fact, things were much more fluid rather than strictly organized within the military hierarchy. It is fair to notice that each vassal in each clan mustered different types and numbers of soldiers. For example, the warlords in the west preferred gunpowder units while the warlords in the east relied more on horsemen and cavalry units. This is important to highlight because the army compositions in terms of weaponry, units and tactics changed a lot from clan to clan. Once all the troops were gathered, the army was assembled. The troops were reorganized and re-arranged in Sonae (備) which could be translated into "tactical unit". 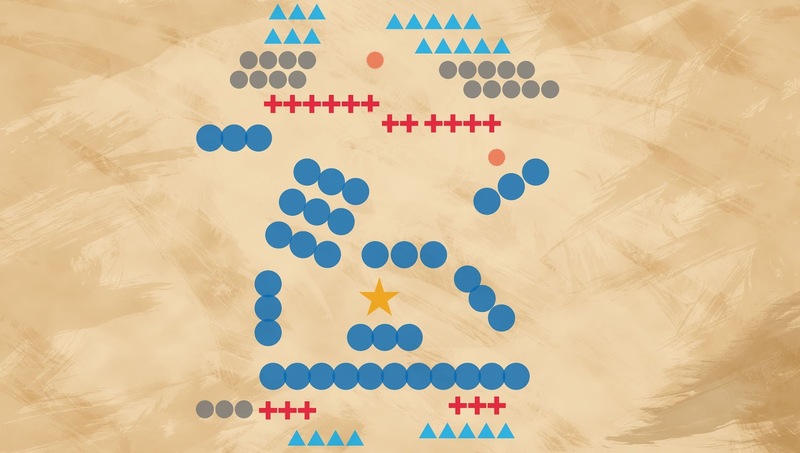 A soane varied a lot depending on the daimyou itself but also on his vassals income and power.A Damyou was expected to deploy at least one sonae, but in the latest part of the Sengoku jidai warlords like Tokugawa Ieyasu had 30 sonae under his comand. Multiple sonae together formed a Te (手). More or less, the sonae were composed from 300 to 800 men, and inside one sonae there were each type of troops present at the time, so ranged units, polearms unit, support units and cavalry units. These troops were divided into sub-units were called Kumi (組) and were based on the weaponry. Teppo-gumi (鉄砲組): These were the ashigaru troops armed with firearms of various types, and later one mixed with them, archers. Yumi-gumi (弓組): These were the ashigaru bow troops. At the beginning of the period, there were archers units on their own, but later on they were also deployed in the teppo-gumi. Nagae- or Yari-gumi (長柄組): These were the ashigaru pikemen. Kiba-tai (騎馬隊): These units were the Samurai cavalry and their direct retainers, so it was a mix between cavalry and heavy infantry. Most of the sources didn't distinguish between mounted units and their retainers so is hard to guess how the average ratio horseman/retainers was. Hata-gumi (旗組): These were the standard bearer; although they didn't partecipate in the fight as other units, they were essential for the communication. Konida (小荷駄): Logistic units; they had pack horses, several gears used in the campaign but also monks, priests and administrators. They were usually found in the headquarter, the Honjin sonae. The Kumi, which were under the control of the Kumigashira (組頭), were divided in small platoons, which were under the control of a Kogashira (小頭). Each sonae was essentially an army on its own. It was led by a Taishou (大将) which was the general. If the Daimyo had only one Sonae, he was supposed to lead the squad itself. It is important however to highlight that even the so called Ashigaru-taishou (足軽大将) existed, a proof that these men weren't considered less valuable than the samurai themselves. Multiple sonae were led by the Soutaisho (総大将) which was the commander in chief. In this case, the main sonae led by the Daimyou was called the Honjin (本陣). In the others sonae, an inspector called Metsuke (目付) was there to establish the military behavior of the taishou, reporting to the daimyou the military deeds of that sonae. The tactical unit were usually re-arranged in this manner: at the front line there were ranged units, namely arquebus and archers. Behind them lines of ashigaru pikemen, the personal retainers of the samurai and samurai on foot, and finally the cavalry unit. Logistic units were almost universally in the rear, while the taishou stayed in the centre of the sonae; however there were minor exception to this rule. The rows were generally quite loose and thin; generally 1 to 3 rows per kumi sub units. The reason behind that was mainly due to the rough and mountainous terrain of Japan, but that wasn't always the case; in many situations the troops were supposed to form dense formation to whitstand enemy charges. A sonae as described in the 軍容撰功図解合冊. Another sonae as described in the 軍容撰功図解合冊. It was noted that the Mounted unit could fight dismounted too. Another very popular and common sonae. Logistic units were most of the time located inside the Honjin sonae. The Honjin Sonae of Takeda Shingen at the battle of Kawanakajima. It is quite easy to see how big the honjin sonae were compared to normal ones. It is said that the horsemen were ordered to fight on foot. The Honjin Sonae of Tokugawa Ieyasu at Sekigahara. Once the various sonae approached the field of war, multiple and various form of battle formations called jinkei were adopted based on the tactical needs, the train and organization of the army and ultimately the terrain. 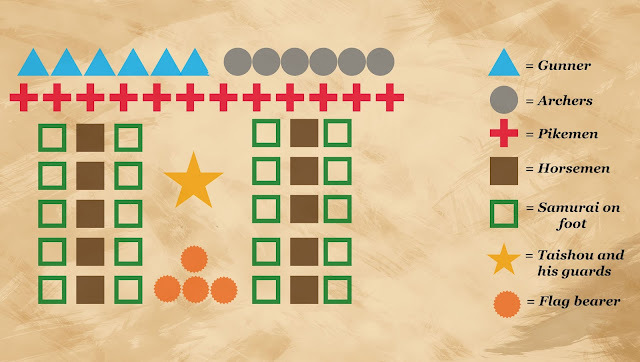 The majority of these formations required big armies. One interesting factor is that these formations were based on the works of the second Tang emperor Taizong (太宗), the Hachijin (八陣) which were made in the 7th century A.D. However it is fair to notice that these formations were rationalized and changed to fit the needs of the Sengoku period. In fact it was more a form of respect of the ancient Chinese military doctrine, since the battlefields of the those original formations required chariots and crossbows, the former already falling out of use during the Tang. Each sonae represented a different division of the army, like vanguard, rearguard, 1st. divison, support and so on depending on their role on the field. 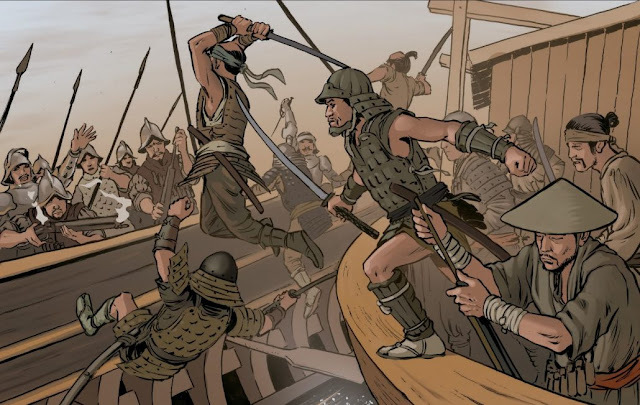 The sonae were composed as I've shown before, but there were exceptions in the jinkei; for example, skirmisher troops only composed by specialized units (like arquebus) were separated by the sonae and coordinated by the Kumigashira. Again, even if I'm repeating my self, I want to stress on the fact that sonae were far from being uniform. You could find sonae entirely made by Ashigaru, and sonae which lacked cavalry units for example. If the army was bigger, you could expect to find a standard sonae, but if the army was small or medium sized, the sonae were mainly formed by pikemen and samurai on foot, with the cavarly in the rear of each tactical unit (if present). Once the battle formation was chosen, the sonae were re-arranged to fit the formation. In addition to that, these schemes I'm going to present, given the fluidity and the heterogeneity of each single army, could only give you an average idea of what shapes the formation had. 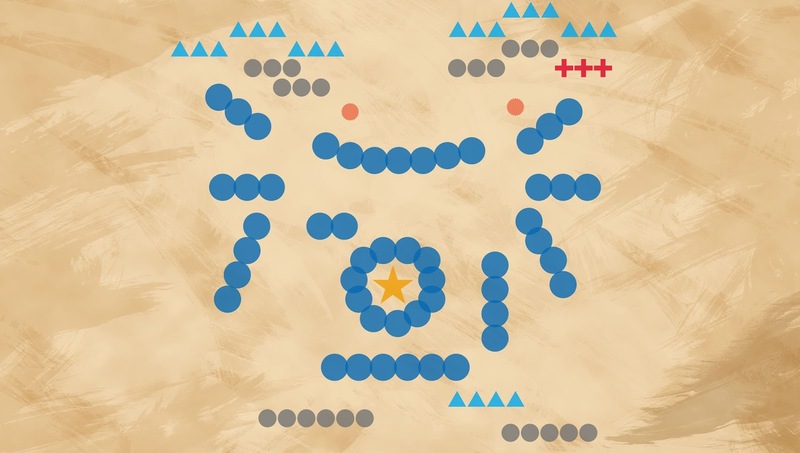 A battle formation, from one of the numerous "関ヶ原合戦図屏風." 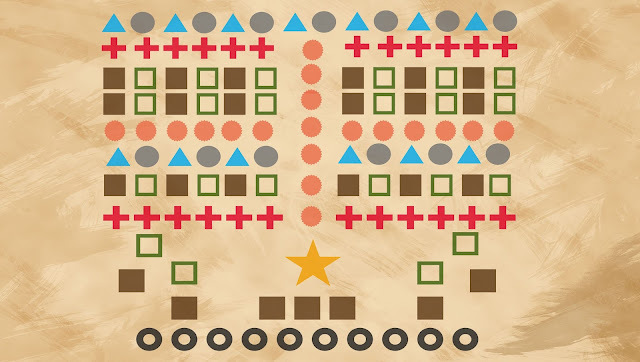 These were the most basic formations, used to move the army or to have a cohesive power without complex maneuvers. This formation is suggested in the 軍容撰功図解合冊 for moving few sonae. 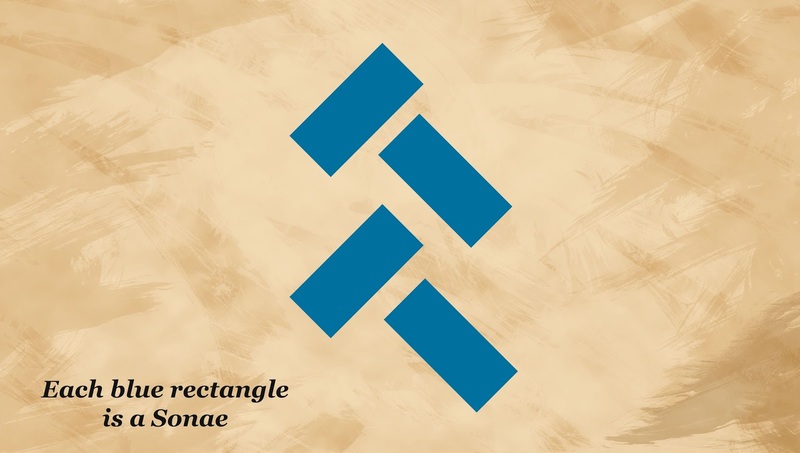 Each blue rectangle is a sonae with the characteristics seen before. The author suggested to adopt the shape of the characters "入" and "人"
Each blue rectangle is a sonae. 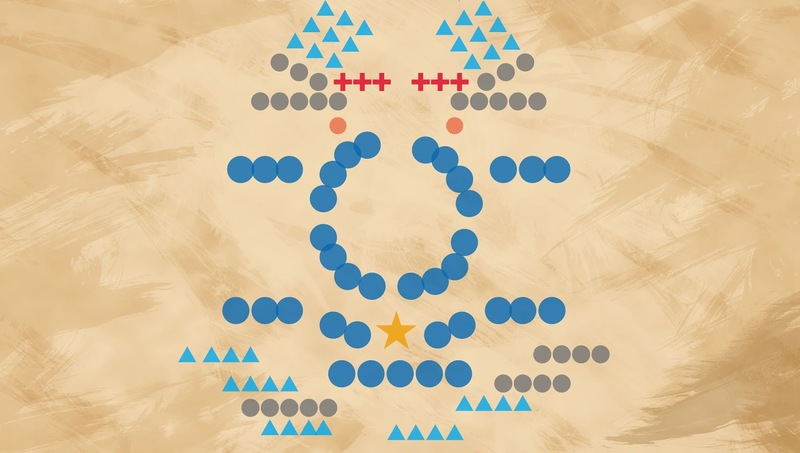 This formation was also suggested by the 軍容撰功図解合冊. 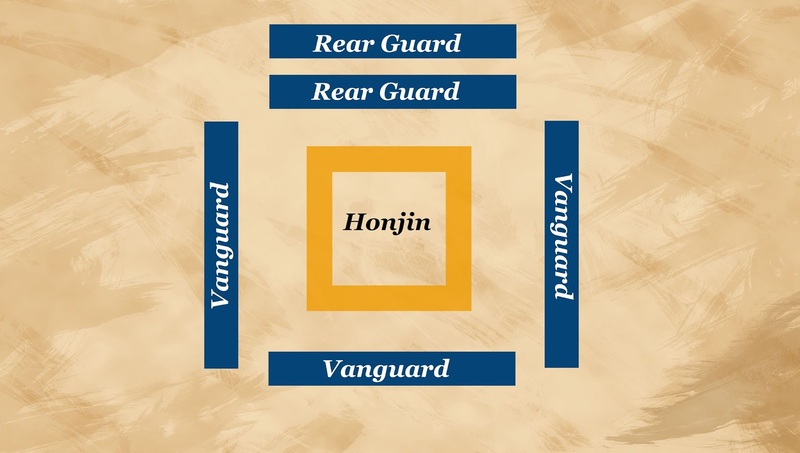 When the front line troops are tired, the rear guard could be activated to replace them. This formation was called Nanasonae (七備) which means seven sonae. It was a quite popular although basic formation. It was mentioned in the Zokusen Kiiyomasa Ki (続撰清正記). The two characters could be translated as "sharp arrow" (in Chinese). The name suggest the offensive nature of this formation. Archers and arquebus fired to thin out the enemy ranks, and then light and heavy infantry charged assuming a "flying wedge" position. If the enemy ranks were broken, cavalry charged in. The wedge formation was adopted by Shimazu Yoshiro with only 80 men of his Hatamoto (旗本 - personal retainers) to break the enemy line when he was outnumbered at Sekigahara. In these illustrations you would see blue conglomerates/segments as entire Sonae. They represent several army units like vanguards or supports that I've omitted for the sake of simplicity. This however was true only for big armies. If the army was small, the sonae would have been composed mainly by ashigaru/low ranking samurai and samurai on horseback since most of the ranged units were detached from the main sonae. This is the Hoshi formation. Note the slight asymmetry on the upper left. 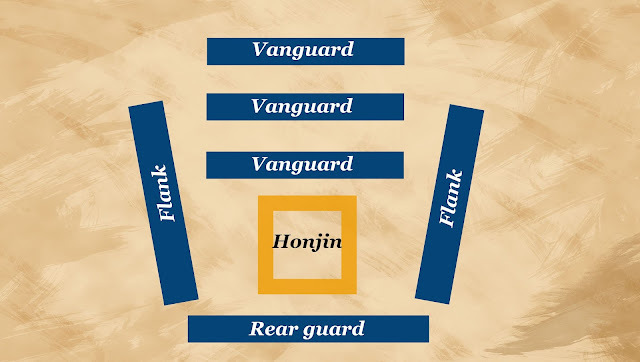 This formation which literally means "crane's wings" was a defensive arrangement which allow the army to "counter attack" an enemy offensive thanks to the wings, which surrounded the enemy. The vanguard absorbed the enemy whit barrage of arrows and bullets, while the side of the formation spread out to envelop the enemy. It was used by Takeda Shingen in the fourth battle of Kawanakajima against Uesugi Kenshin. The arched sonae were supposed to move forward, to encircle the enemy once its momentum was absorbed by the various ranged unit. Note again the asymmetry of troops, which could vary from clan to clan. Probably one of the most iconic and famous formation. It was essentially a "softer" version of the Houshi, and as the name suggest, it looks like a "fish scale". 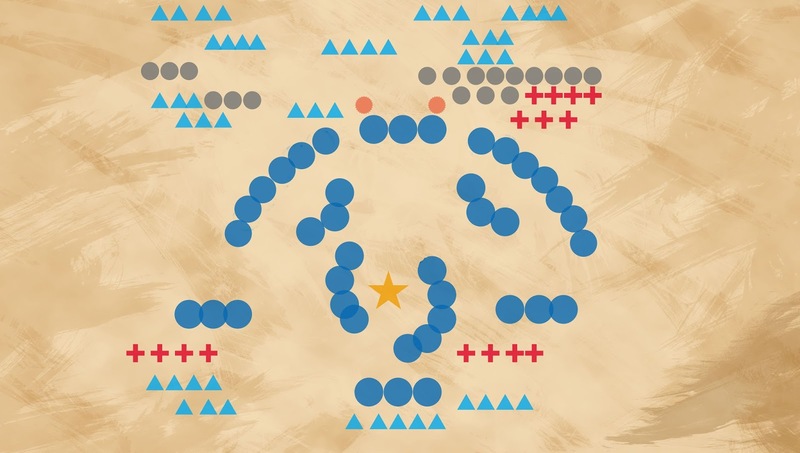 Without the aggressiveness of the "arrow", this formation was useful for armies that didn't want to risk to much, and it was recommended if the soldiers were outnumbered. It was used by Houjou Ujinano against Satake Yoshighe in 1585 according to the Houjou go dai ki (北条五代記). 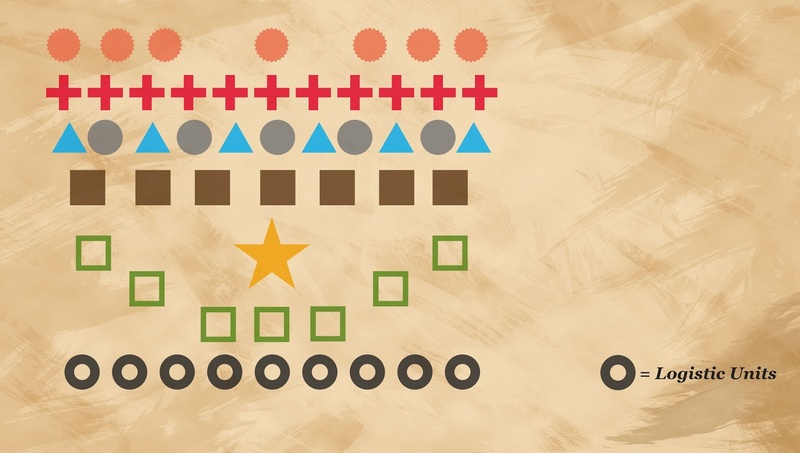 This is the Gyorin formation. Note the overlaps between troops in rear of the army and the asymmetry of troops; despite its offensive capabilities it was a great defensive formation too. 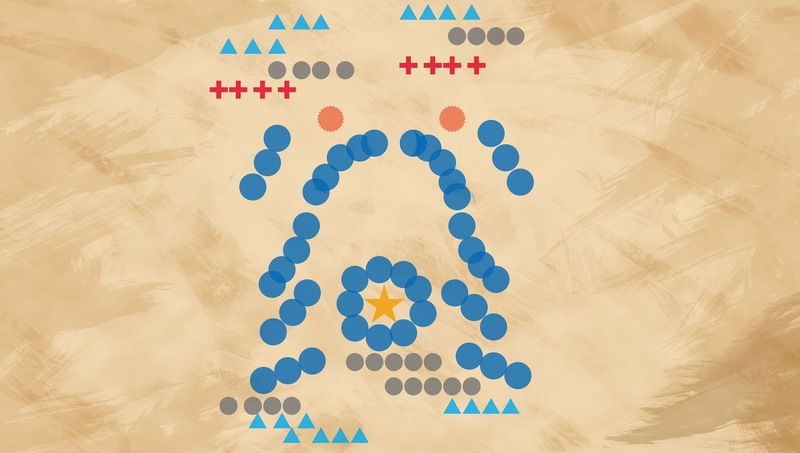 This formation was highly defensive and it was suggested when facing a last stand. The Taishou is highly surrounded by its unit; in the chronicles of the Takeda, the Kouyou Gunkan (甲陽軍鑑), a general used this formation when facing an enemy Gyorin. This is the Engetsu, and as the name suggest, the left side protecting the taishou resemble a crescent moon. This formation is recommended against the enveloping kakuyoku. It is wide and long, as the name suggest (long or extending snake), and while the troops in the flanks provide support for the vanguard and the rear in a way that an enemy coming from the flank could be stopped, the latter provided support for the flanks. This is the Chouda; its configuration offers a strong frontal attack, and it is also useful if the terrain is relatively plain like a valley. This is highly defensive and symmetric formation was loved by the Takeda, and it is capable of withstanding an Houshi attack. 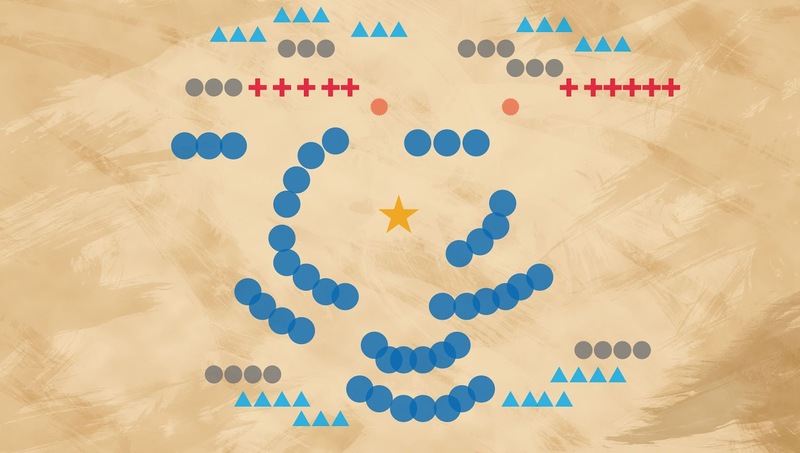 The skirmisher troops in the fronts are supposed to thin out the advancing enemy ranks, while the troops in the centre, arranged like a keyhole, can absorb the charge. The Houen is rather symmetrical compared to the previous formations. The name indicates the wooden toke used for cart trained by ox; this is an highly defensive formation an as the hoen could withstand an hoshi attack. The vanguard is used to hold the enemy while the other branches of the army could react properly according to the general's plan. It was used by Takahashi Shoutetsu at the battle of Nasumimatsu, against an enemy houen. 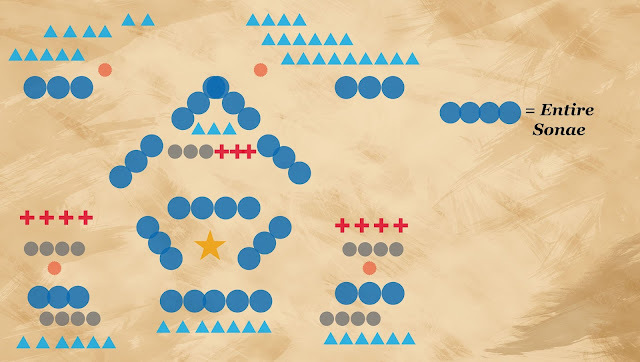 The Kouyaku formation; like the Kakuyouku, its front ranks could envelop the enemy ranks. This is a deep formation that could provide a flexible compromise between offense and defense. Is rather simple and it was adopted quite often; being quite dense, it can withstand an enemy charge as it happened at Anegawa in 1570. There are also accounts of other formations being used during the Sengoku period, but most of them came from Edo period works and others, like the famous Kurumagakari of Uesugi Kenshin are rather unorthodox and are described with odd diagrams inside military treatises, so I decided to avoid them in this article. In addition to that, it seems that those other formations, while having a much higher degree of complexity, don't have much more practical value compared with this common and standard ones. I hope that with this brief and general overview now is it possible for the readers to get at least a glimpse of the army of this period. Thank you for your time! If you liked this article feel free to share it and if you have any question I will answer to them with pleasure! I always thought that even the Tang Taizong-derived formations are fanciful as well, never expected there are even more fanciful Edo period formations! BTW, it should be noted that Chinese already stopped using chariot during Tang Dynasty. 鋒 actually means "cutting edge" in Chinese. Also I think "scattered troops" is better translated as skirmishers, or detachment. Thank you that means a lot for me! I would have loved to get a more schematic/intuitive way to describe all the matter but the reality is that the situation is quite a mess. For example, Chousokabe Motochika relied most on non-professional soldiers and he took more than 20 years to fully conquer Shikoku, while in the same period, the more professional army of Hideyoshi conquered the entire Japanese arcipelago in less than 10 years. I'll add those corrections, thanks!! BTW, how important was a Kashindan to a daimyo? How large was the size of a Kashindan? It was like "family" level of importance ( in fact the relatives of the daimyo themselves were inside the kashindan). Without it, a daimyo could have only relied on his household troops and his vassals could have betrayed him at any time. Sometimes the kashindan's relationships (especially with former enemies) were made in exchange of hostages, to ensure the loyalty of "foreign" members. The Kashindan of Amako Tsunehisa in the early 1500 had 68 members, the one of Ukita Hideie around the 1600 had 1552 members (staff like cooks and flag bearer too, but it was at the beginning of the Edo period). If the Kokka was big and the year around the 1580-90s, the kashindan might have had 1000 members or more. This is how Hideyoshi was able to muster all of his troops for his failed Korean adventure. So, essentially, kashindan for powerful warlord like Hideyoshi could be daimyos in their own right? And had their own kashindan?? Yes; nowadays if we think about daimyo we think about warlords, but many samurai towards the end of the Sengoku period had enough wealth to be considered daimyo themselves even without having an army or being the head of a clan. 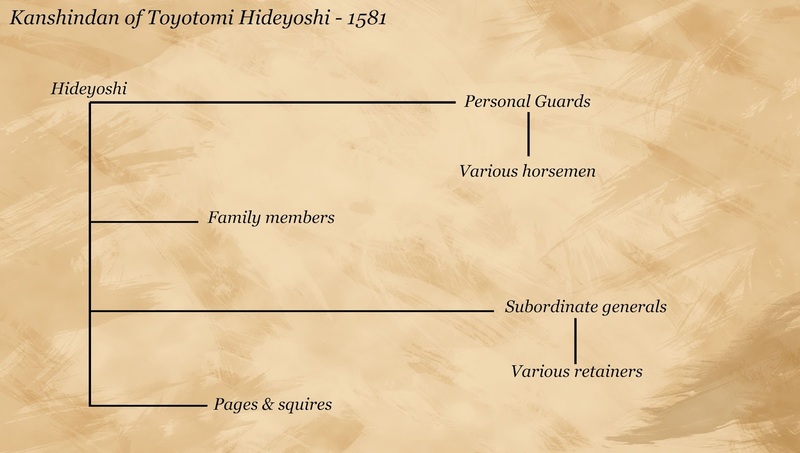 Also, those huge kashindan having daimyo in their ranks didn't appear until the 1580s with Nobunaga, Hideyoshi and later on Ishida Mitsunari and Tokugawa Ieyasu. May I ask, if you maybe know the name of the 軍容撰功図解合冊 author? I've been searching a lot, but I can't find it anywhere. Hello and welcome to my blog! I'm glad you liked this article! 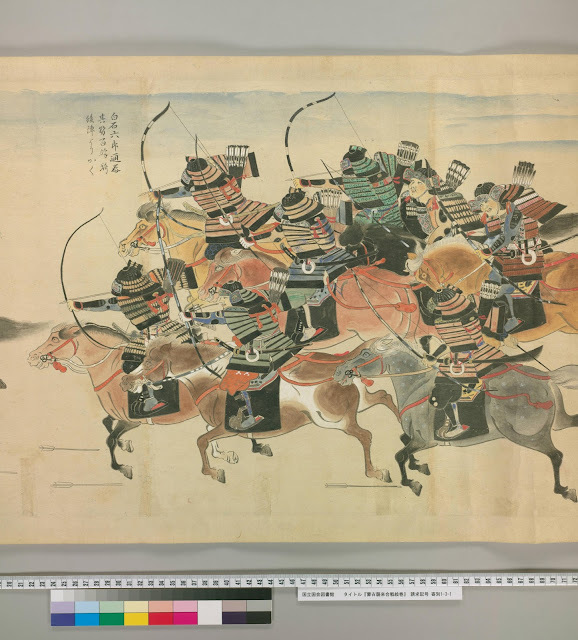 According to the Tokyo national museum library, which has a version of the book called "図解軍容" (but essentially is the same one), the author is a man called Arizawa Takeshi (有沢武貞) if I have translated correctly; Japanese names are quite tricky, but those are the right kanji. Also, Thank you very much for the information. I am a writer and my novel takes place in Japan during the Tokugawa era, with names changed. I have been looking for this information for a long time! I'm glad you found what you were looking for! If you are writer, I have to say that I wanted to create this blog to be used as references for people like you, and I think you might find here other useful information of that period of Japanese history! Thanks for the article, it brings a lot of detail that I didn't know about the Sengoku period. Do we have any first hand accounts of the effectiveness of these formations (with multiple sonae) in battle? Were troops able to form them quickly and maintain them or did they in practice get jumbled up in the chaos of the fighting? Contemporary European formations (at least higher level ones) seem relatively simpler, mostly being one or two lines, or columns when marching. Even then they had problems forming them up quickly. I assume the Sengoku era commanders must have had to have many hours to prepare their formations before the fight, since it doesn't seem that one can quickly change formation. Very complex formations were never really deployed that much. In fact these schemes are more or less "guidelines" and they should be modified in every scenario if required. 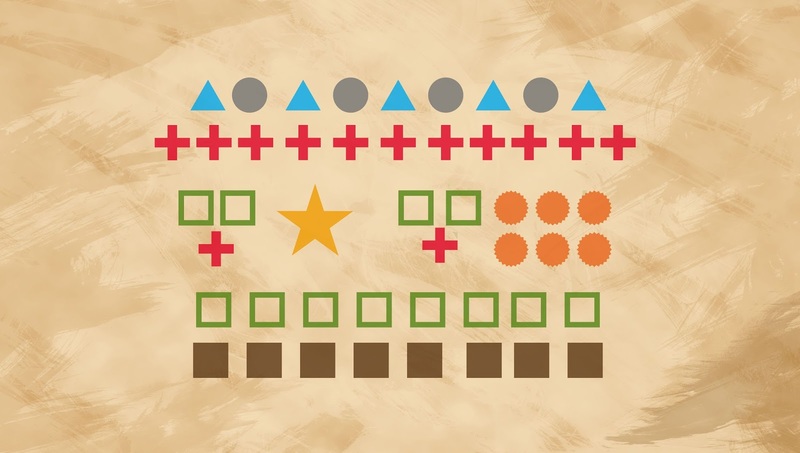 The sonae worked as single units so they were very much indipendent inside the whole army formation, and it is very likely that when the battle broke out, the formation was anything but not one of that scheme. They are still useful to understand how the army was deployed more or less since the sources themselves used such terms. Changing formation in the middle of the fight was quite hard indeed and only the very big armies could deployed a lot of sonae. 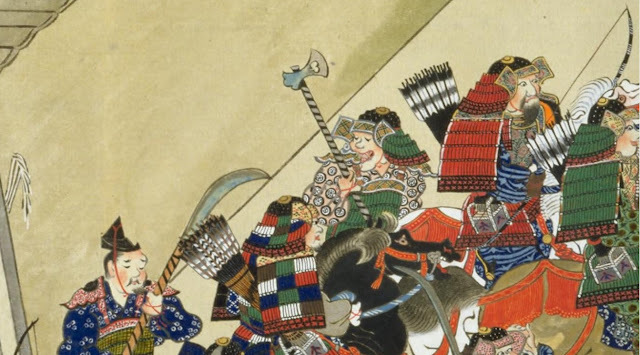 Samurai holding a battle axe; detail from the 春日権現験記. 第８軸 Also know as Ono (斧) or as Fuetsu (斧鉞), this weapon is one of the less related within the "Samurai warfare" context. For many years inside the internet I've read a lot of stuffs about the fact that Samurai didn't use Axes in battle. If there is someone to blame, his name is Bashford Dean. Although I do extremely respect the man for his pioneering approach inside the field of Samurai Arms & Armors in the late 19th and early 20th century, we can read in his first catalogue, "Catalogue of the Loan Collection of Japanese Armor" dated 1905 from the "Metropolitan Museum of Art" one of the most "romantic" cliché associated within the Samurai warrior culture. Japanese shields are a really interesting topic to study, and an highly misunderstood one, especially inside the "pop culture". It is in fact quite common to read or hear the comment that says "samurai didn't use shield as they were dishonorable"; however the reality of things were far from this romantic statements. Since it's a long story to tell, to really understand the development and the usage of shields in Japan, I have to start back in the early history of the "Rising sun's" country. As I said before in a previous post, for any serious "Armor Enthusiast", there are some questions that suddenly come to mind when looking at a full harness. Last timeI've covered the weight, today I wanted to focus on the "How much does it protect you?" question. Now, Japanese Armor is an huge topic; to make this article "short enough", I will speak about some different configurations (the most protective ones - and thus the heaviest) used to protect the warrior on the battlefield of the Sengoku Jidai. This analysis will cover the Tosei Gusoku (当世具足) type of armor, when it was fully developed, around the early/mid 16th century, and most of the time I will talk about the 25+ kg armor setup. 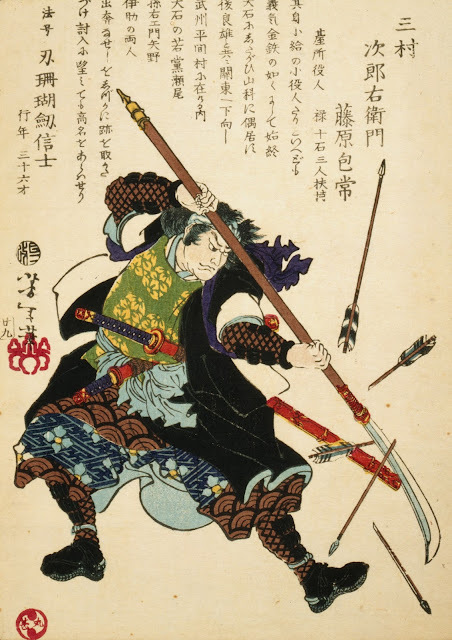 The Japanese Bow or Wakyuu (和弓), also called Yumi (弓), is one of the most interesting weapons used by the ancient Samurai warriors, but its history is even more older. Like in many countries, bows were tools for hunting before being weapons, and Japan was no exception. Japanese Mail armor, or Kusari Gusoku, is a quite complicated topic. 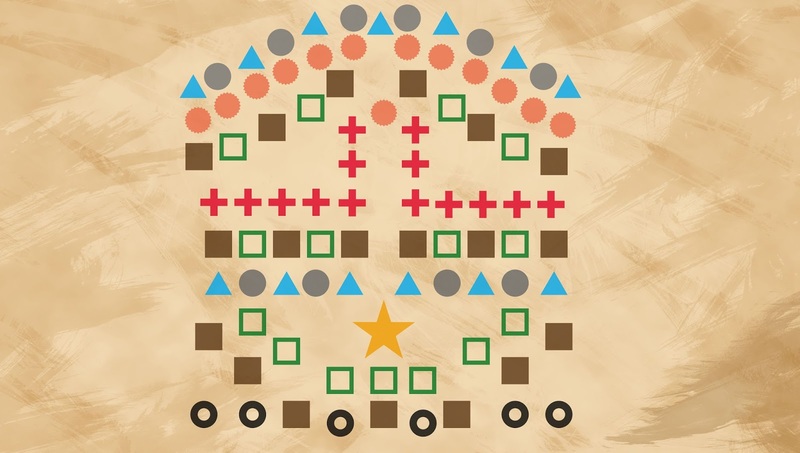 Japanese armorers developed the highest number of mail combinations in the world, using different types of rings and patterns for defensive purpose, but also for decoration. In this article I'll try to give you a complete overview on the subject. The use of this type of armor is rather "odd". Although is possible that mail armor (commonly known as "chain mail": rings connected to each others which forms a dense wave similar to cloth ) was know and use since the early Heain period, we lack surviving examples. A picture taken from the Spanish comics "Las Espadas Del Fin Mundo" depicting the fictitious battle. I'm not really a fan of the kind of debates you could find on the internet about hypothetical battles, deadliest warrior scenarios or something like that. Honestly, I find the entertainment value of such discussions healthy only when they are educated and based on logic, historical accuracy and knowledge of the topic people want to discuss. However, the average quality of these debates is usually extremely low: people make their arguments based on wrong pop culture stereotypes and "fanboyism", which turn the whole discussion very quickly into a toxic one, where people just insult each other.